The finest workers in stone are not copper or steel tools, but the gentle touches of air and water working at their leisure with a liberal allowance of time. On our way to the Great Basin National Park entrance near Baker, Nevada. One of the first things that we do when en route to a new park is to learn about the geography and landscape of the area to help us determine where to explore and how we’ll want to photograph it. We read a lot while on the road. Our introduction to park #20 was particularly interesting because it enabled us to learn more about the larger Great Basin system that covers the western half of the United States, while differentiating it from the area that makes up the national park. 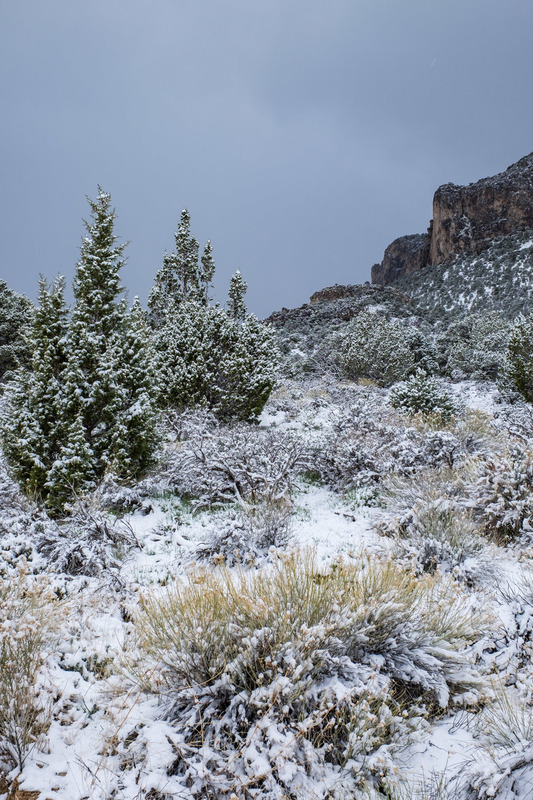 What we read was that this cold-desert environment is home to several microclimates including subterranean, desert, high-elevation forest, and alpine ecosystems. What we learned is that this park is like a jewel—comprised of many facets that result in an exquisite gem when admired as a whole. 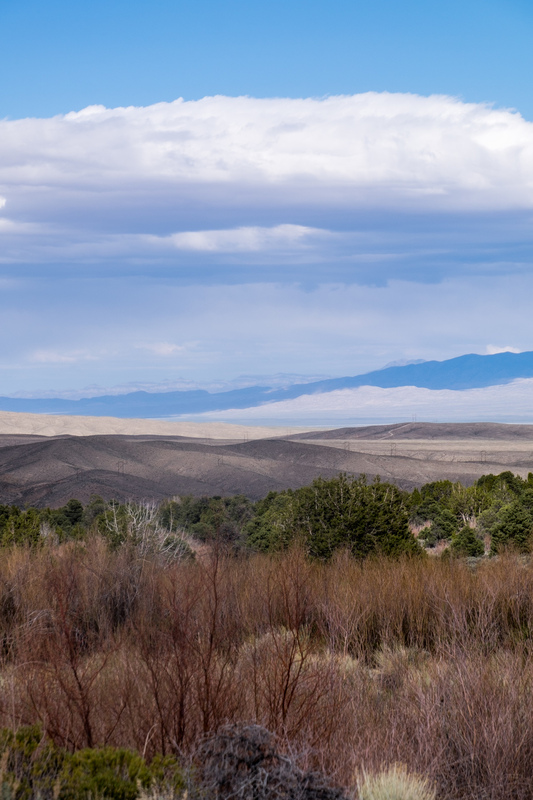 The Great Basin is not one large basin, but actually a system of about 90 small basins converging to perform three activities: water collection; landscape formation; and to serve as a home for plants and animal communities. Water-bodies drain internally, rather than flowing out to the Gulf and oceans the way most rivers and streams in this country do. 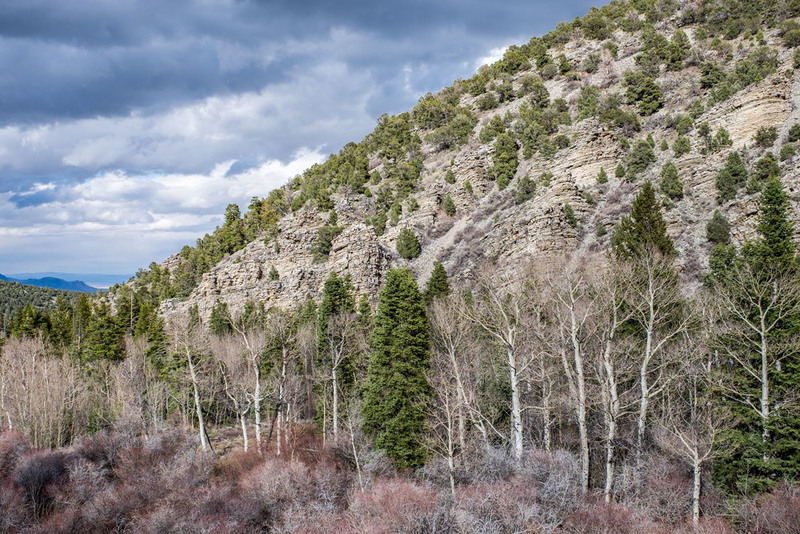 The geological dynamics at work force hundreds of north-to-south mountain ranges between the Sierra Nevada to the west, and the Wasatch Mountains to the east… did you know that Nevada is the most mountainous state in the country? It is these ranges that makes it so. And finally, the dual effect of the water systems forming in the valleys and the extreme weather that occurs at high elevations invite together a diverse range of plants and animals to the area. Great Basin National Park in Nevada resides within the larger Great Basin / Basin and Range area and best exemplifies each of these three adapted systems. As a wilderness to explore, all of that variation in climate and landscape creates countless ways to enjoy that are, individually, reason enough to visit this park. We think this formation inside the Lehman Caves is called Devil's Throat but aren't 100% certain... If we are wrong, please feel free to correct us! The ornately carved Lehman Caves allow passage through the subterranean world where you can get up close to stalactites, stalagmites, drapes, and rare shield formations that are unique to this cave system. 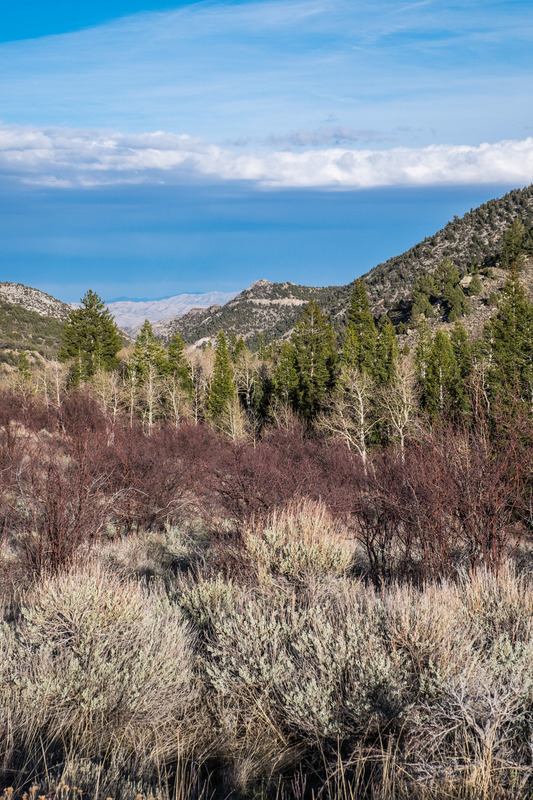 This was the first area of Great Basin to be obligated as national parkland by the federal government in 1922. At ground level, fisherman, cyclists, horseback riders, and casual wanderers can be found among the desert expanse. At the trailheads, hikers and climbers set off on world-class trails in search of high-elevation subalpine lakes and forests that are home to the world’s oldest living trees, the ancient Bristlecone pine. And all of that is occurring before the sun even falls ... in the night sky are some of the starriest nights in the lower 48 earning the park an International Dark Sky designation, and proving yet again that half the park is after dark. Clearly, the planetary science of The Great Basin is extraordinary, and there really are so many awesome ways to get outside—but it is the experience of solitude that, for us, left the strongest impression. Ranchers just outside of the national park. There seems to be an unquenchable peace in this pocket of the world, both in the park and in its surrounding areas. It’s clear that those who live in the small town of Baker at the foot of the park desire a quiet life. To give you an idea of how quiet—the closest supermarket and hospital are both more than an hour away by car, we didn’t see any policeman, and there are only two restaurants in town and they both close by 8pm. 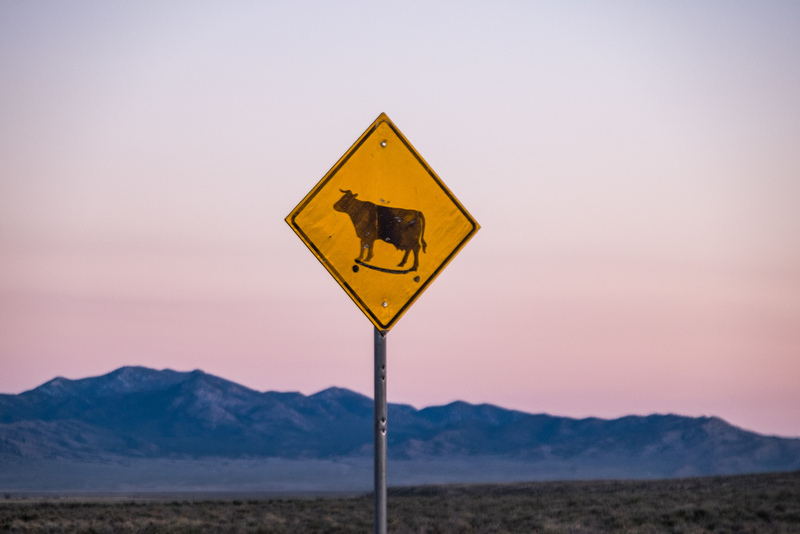 Ranching heritage rules the outlying areas as it has for hundreds of years, lending the charm of the dusty wild west that most of us associate with Nevada. Following the tracks to the ancient Bristlecone pine trees.... We are thankful to those hikers who left those tracks, wherever they are. Inside the park, you can wander without seeing another soul for hours. We learned this to be true on our long hike to the Bristlecone pine grove. This was our first high-altitude hike of the season, climbing to about 10,000 feet. The higher we went, the higher the snowpack—the higher the snowpack, the less marked the trail (you can see where this is going.) Eventually, the trail markers faded altogether and we were faced with a choice: retreat or forge on into backcountry (with a capital B) … then we spotted freshly laid tracks in the snow made by another pair of hikers. We decided follow those tracks. This probably isn’t recommended in terms of safety, though we felt good about sniffing out the trail a little farther … and we’re so glad we did as their tracks eventually led us to a grove of ancient trees, the oldest non-clonal living things on the planet. Talk about being out there—no service, no sounds aside from our boots in the snow and wildlife at work—it’s the kind of solitude that can be delightfully hypnotizing and that is so rare to encounter in this day and age. It lends insight into why people come here to live or to visit in the first place—it feels the way much of this country must’ve felt one hundred years ago. The world's oldest living non-clonal organism: the Bristlecone pine tree in Great Basin National Park, Nevada. Iconic site in the park: Atop rocky glacial moraines at high elevations survive the world’s oldest living trees—the Bristlecone pine—trees that have for 5,000 years stood strong against the extreme environment in which they grow. National Geographic points out that they were rising from the landscape when Tutankhamun ruled Egypt. Cold temperatures, strong winds, and reduced oxygen levels allow the trees to grow very slowly; while their density allows them to fend off infection, rot, and erosion helping to ensure their longevity. They look like a storybook illustration—thick, wrangled, and twisted trunks twirling into the sky. Moisture drips from a stalactite inside the Lehman Caves. Accessible adventure: Like the Mammoth Cave system in Kentucky and Carlsbad Caverns in New Mexico, Lehman Caves impresses with decorative limestone stalactites, stalagmites, drapes, popcorn, and other forms of geological wonder that have drawn humans into caves for thousands of years. 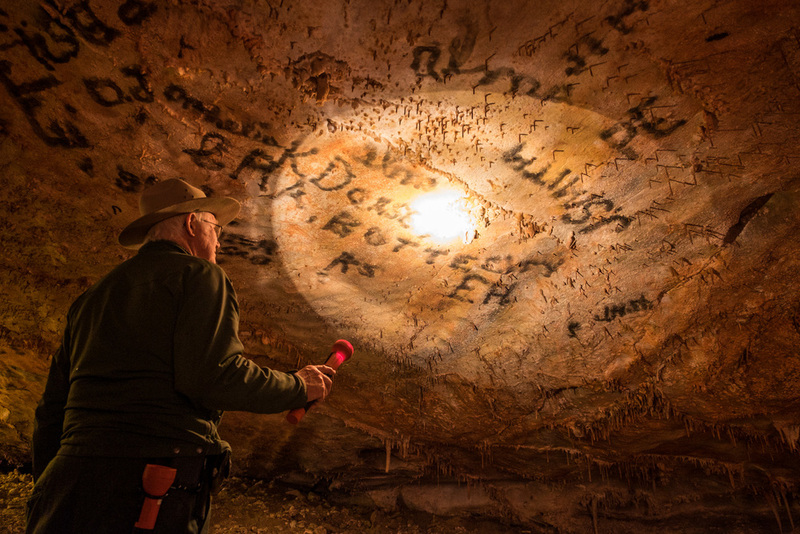 The Lehman Caves is most prized for its large collection of rare “shields”—there are more than 300—which look a little bit like two hinged clamshells dripping with stalactites. 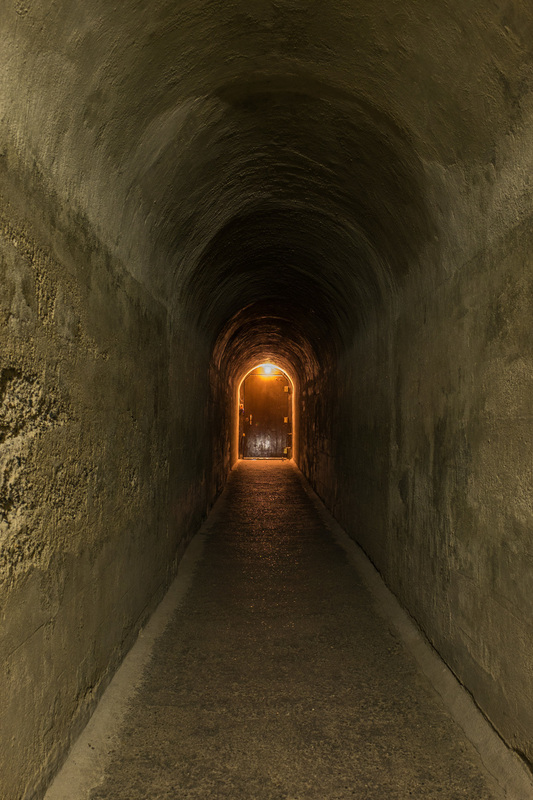 While the name suggests that you will find a series of caves, there is only one large cavern to explore here. It was named after Absalom Lehman who discovered them in the 1880s while mining the area. All tours are led by rangers who lend their expert knowledge of the history, ecology, and geology of the caves along the way. Big adventure: If you want to a diverse sampling of Great Basin National Park in one day, this is your jam. 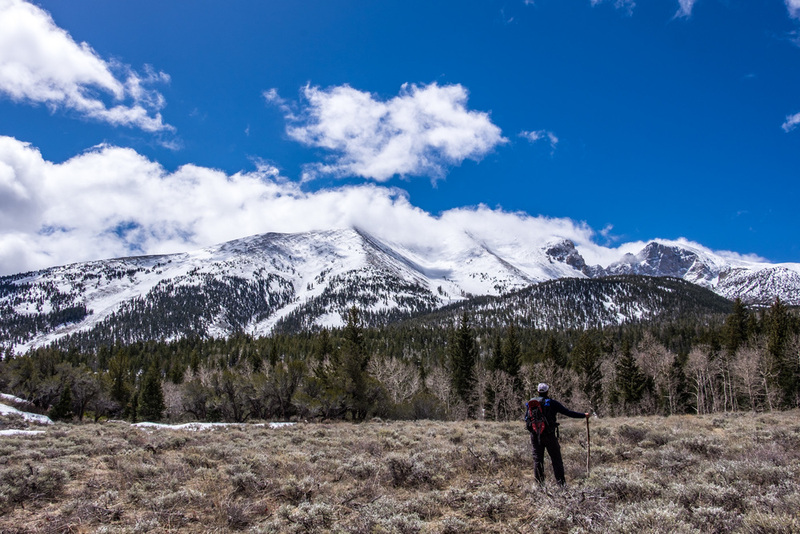 Head up the The Lehman Creek Trail from the Upper Lehman Creek Campgrounds for a 7-mile (roundtrip) there-and-back hike leading into the shadow of Wheeler Peak and to the most accessible Bristlecone pine grove in the park. This is a difficult trail following switchbacks, rocky terrain, and rising into the clouds with an altitude gain of 2,050 feet (starting at 7,750 feet)—that's some mighty thin air up there! Seasonality can pose other challenges as well so it is wise to chat with the rangers at the Visitor Center in advance of your hike to get a handle on conditions. 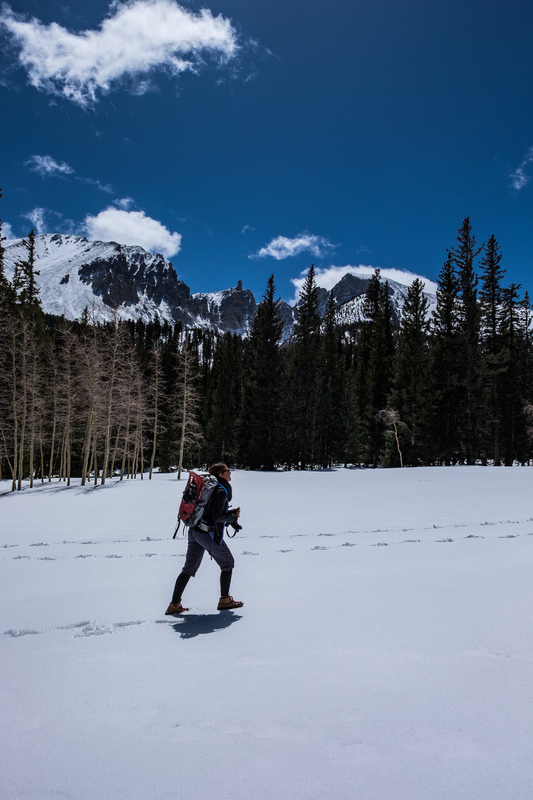 (For example, when we hiked there during the late spring, there was heavy snowpack at the higher elevations rendering trail markers invisible; having snowshoes proved to be valuable as well.) This adventure is a super way to survey diverse habitats, reach the high mountains, and see the oldest living trees in their natural setting, all in one day. And you won't have to go to the gym for a week. 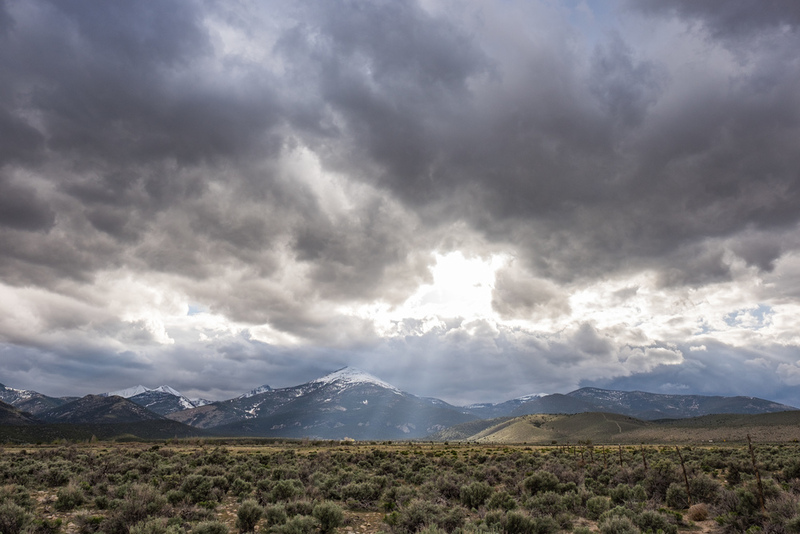 Great Basin National Park is known for its dramatically changing, wild sky. 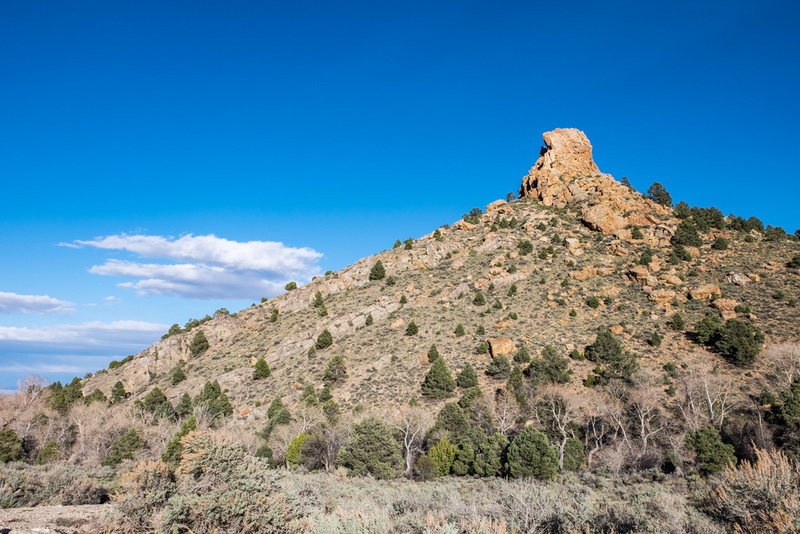 Hundreds of mountain ranges run through Nevada making it the most mountainous state in the U.S.A. And we thought we were mountaineers... we had no idea! This area is known for its fierce afternoon thunderstorms—a different sight to behold every day and a complement to dramatic landscape photography. The oldest living non-clonal thing on the planet! The Bristlecone pine tree. Great Basin National Park may be one of the youngest parks in the system, but it has a very long history…. The peaks at Great Basin were formed during the Ice Age. Proof of human inhabitance dates back 12,000 years. Shoshone, Ute, and Paiute American Indian tribes make up the collective known as the Great Basin tribes who have lived on the land since before it was rediscovered by European settlers in 1776, the year the U.S.A. was founded by our forefathers. You can see the world’s oldest living non-clonal organism in Great Basin National Park: the Bristlecone pine. A geographer named Donald R. Currey discovered a Bristlecone pine tree that was nearly 5,000 years old in 1964. He named it Prometheus—an immortal who brought fire (symbolic of knowledge) to humans according to Greek mythology—to help illustrate it as a figure that would bring knowledge to the study of carbon dating. 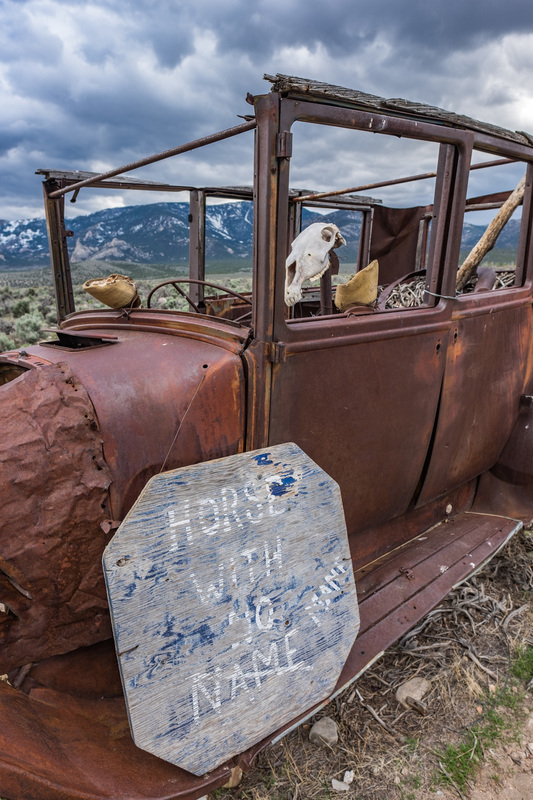 A rusted out old car and "the horse with no mane." Local legend goes that the horse head skeleton is stolen from time to time and when that happens it is replaced by good stewards of the area. Bristlecone pines grow so slowly that during some years they don’t add any growth-indicating rings. All Bristlecones are federally protected. The National Park Service planted a Bristlecone pine tree near the Lehman Caves Visitor Center about 40 years ago so that people who are unable to travel to the groves located at higher elevations could see one. It doesn't look the same as the ancient beasts living below the tree line do and it never will, as it is the high-altitude environment that enables them to grow into elders. Installation art peppers the landscape surrounding Great Basin National Park. It's obscure, absurd, confusing—all of the best forms of DADA. Marcel Duchamp would be proud. There are interesting pieces of installation art scattered throughout the park and its surrounding area. Locals informed us that it was in the middle part of the 20th century when a local artist created pieces that still decorate the landscape today. Others have started following the trend more recently. You can’t miss them. You really can’t, if you are paying attention while on the road. The National Park Service Artist in Residence program has endured for more than a century. The programs at all the parks are different. In Great Basin, 1-2 artists are invited to live and work at the national park for up to four weeks each year. 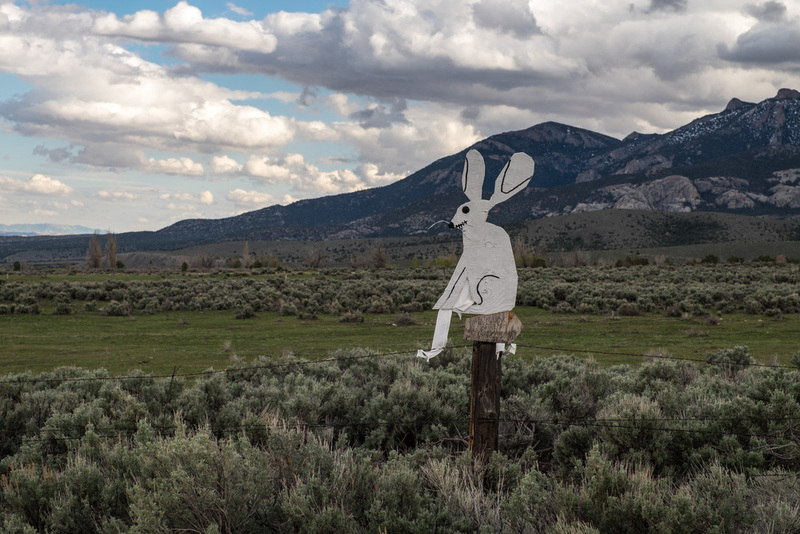 For all of you artists out there, follow this link to learn more about the Darwin Lambert Artist in Residence Program at Great Basin. There is a long history and heritage of ranching in the Great Basin area, one that we can not fully understand spending only one week there. So we are leaving this one to the Park Service to explain. The highest point in the Great Basin Range is Mt. Whitney in the Sierra Nevada Mountain Range in California. The lowest point is at Badwater Basin on the California side of Death Valley National Park. A portion of Death Valley sprawls into western Nevada as well. Wind power Nevada! The Spring Valley Wind Farm just outside of the park. The state of Nevada harnesses wind power at the Spring Valley Wind Farm located just outside of the national park. It was the Lehman Caves, discovered in 1869 by a settler named Absolom Lehman, that were first established as a national monument in 1922 by President Warren Harding. Whether or not to turn the surrounding area into national parkland was a hot-button topic for more than 65 years after, as it was feared that it would impair ranching in the area. It was finally designated as a national park in 1989 by President Ronald Reagan and the ranching community continues to thrive. According to a local descendent of early settlers, seven couples have been married inside of the Lehman Caves and her grandparents were one of those couples! What do you think, would you get married in a cave if given the chance? The Great Basin Highway crosses the state of Nevada while providing beautiful backdrop for photos. One thing we are definitely loving this year is the opportunity to travel America's historic highways and byways. In Petrified Forest in Arizona, it was Route 66. 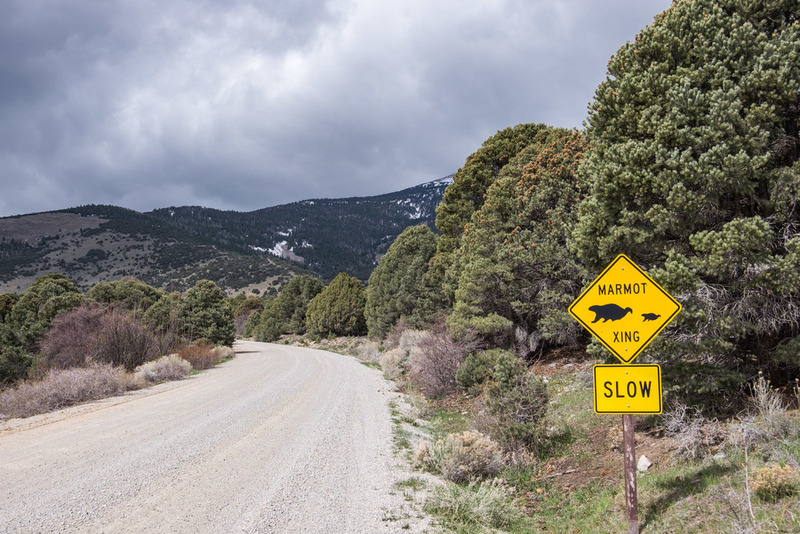 In Great Basin National Park in Nevada, it's Highway 50—dubbed by LIFE Magazine ‘the Loneliest Road in America.’ Our at TravelNevada informed us that it was an original Pony Express Route in the late 1800s. 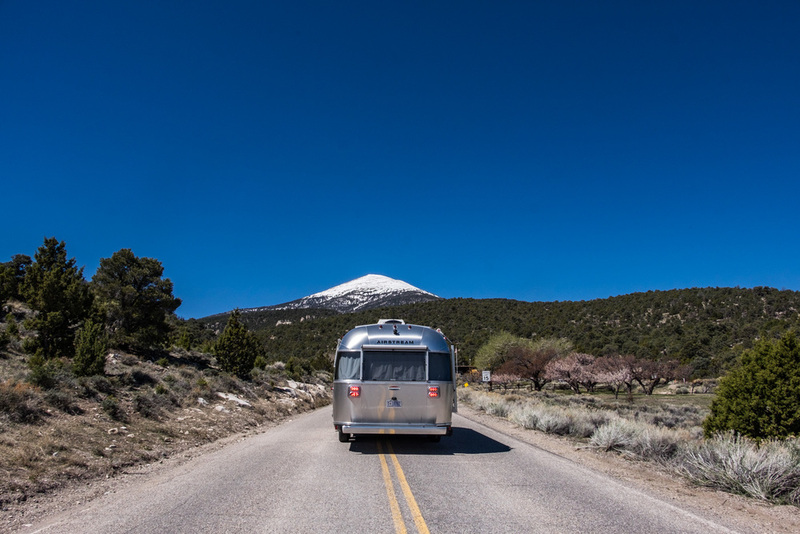 If you want an epic road trip shot, head to Great Basin. 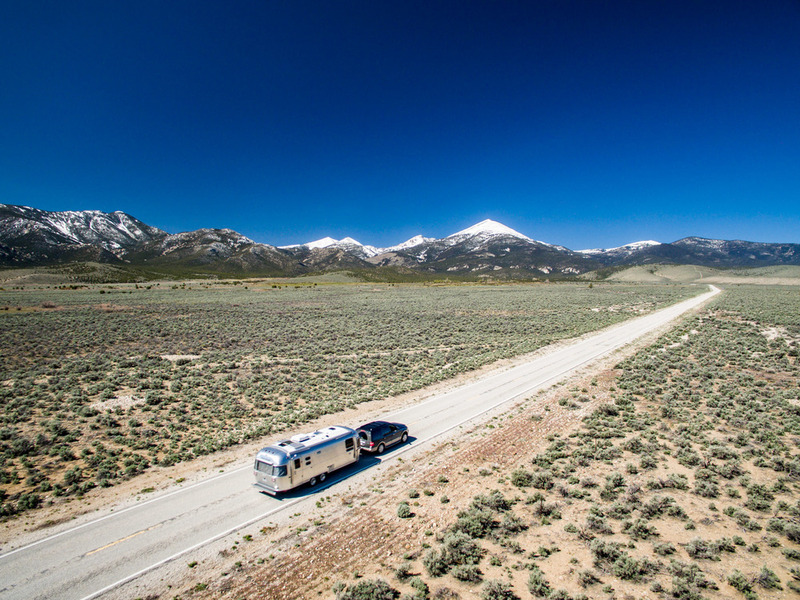 Highway 93, The Great Basin Highway, is another iconic backdrop and routes directly to Vegas! 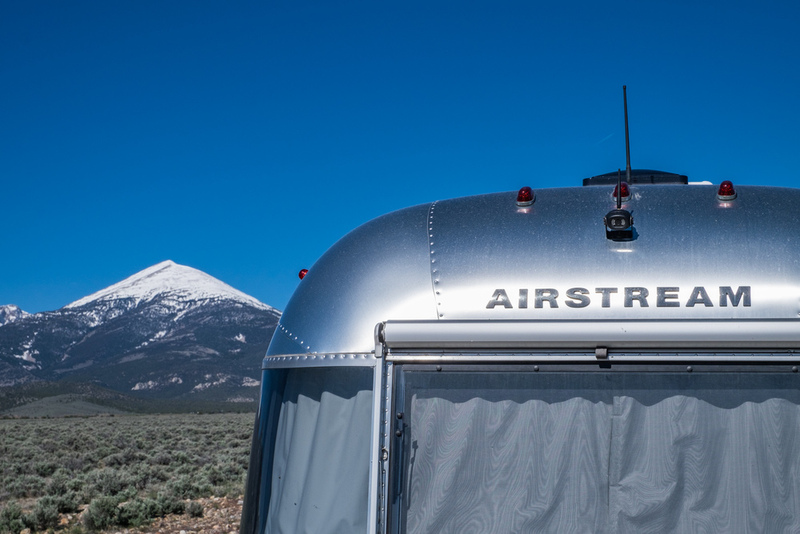 A special thanks to National Geographic, Fujifilm, Airstream, and TravelNevada for making this project possible.